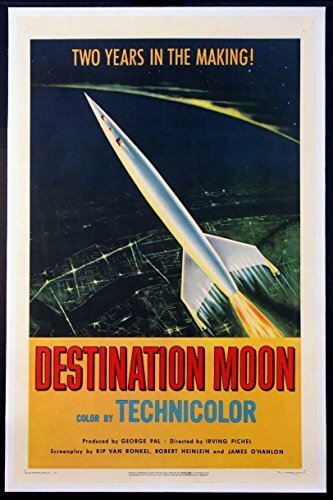 ITEM :Original U.S. 1-Sheet (27 x 41 inch) Movie Poster fromthe seminal 1950 Science Fiction film Destination Moon produced by George Pal . CONDITION : This poster has been professionally linenbacked withvirtually no restoration performed. Condition is Very Fine / Near Mint on linen .As collectors ourselves, we pack every item to arrive undamaged.